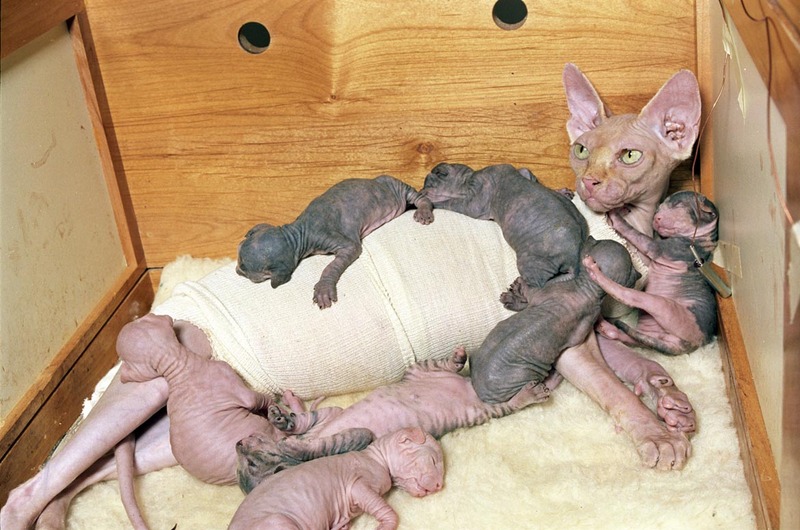 Our gorgeous Belfrey's Hermine Gingold of Whimsey with her first litter of seven kittens. Hermine's milk became sour and the kittens were being nursed by hand, when these photos were taken. Hermine was in a body sock-bandage to keep the kittens from drinking her milk.